@katiawb 6-8pm The Knot Worldwide 195 Broadway Fl. 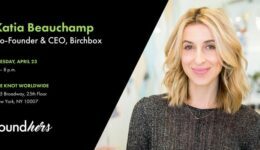 25 The Knotworldwide is excited to highlight its network of friends within the growing ecosystem of female-led businesses, with a free, bi-monthly networking event and fireside chat with those who embody the FoundHERS concept. @StudiocanalUK 7:15pm 92nd Street Y 1395 Lexington Avenue Kaufmann Concert Hall Moderator Annette Insdorf will interview Ralph Fiennes after the preview screening of The White Crow. 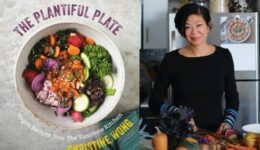 @mocanyc 6:30-7:30pm Museum of Chinese in America 215 Centre Street Join Christine Wong for an Earth Day friendly, plantiful and plastic-free event as she highlights her debut cookbook “The Plantiful Plate: Vegan Recipes from the Yommme Kitchen” (Countryman Press) and how we can all embrace ways of minimizing plastic usage in our daily lives. 5:30-6:30pm Apple Williamsburg 247 Bedford Avenue Brooklyn Singer-songwriter Liana Banks is pushing the boundaries of pop and R&B. Join us as she performs songs with infectious melodies and reverberating beats. @EatalyDowntown 6-8pm Eataly NYC Downtown Oculus at 4 World Trade Center Floor 3 Here at Eataly, our chefs are abuzz with the news: spring is here! 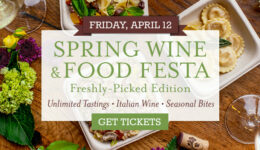 Celebrate the new season with us during the spring edition of our Wine & Food Festa series. 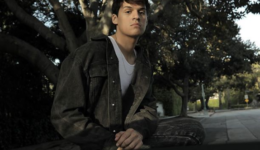 8pm Chelsea Music Hall 407 West 15th Street Join FADER for the screening of their new Omar Apollo documentary and Q&A with Omar and director Scott Perry. @parkslope5thave 6:30-9:30pm The Grand Prospect Hall 263 Prospect Avenue Brooklyn Don’t miss out on food and drinks from 50+ vendors, dancing, drinks and more! @EWagmeister 7:30pm 92nd Street Y 1395 Lexington Avenue Kaufmann Concert Hall Justin Hartley’s moving performance as Kevin Pearson on the critically acclaimed, award winning NBC series This Is Us has made him a household name, and he is just getting started.